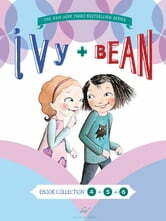 This super-cute bundle continues the adventures of spunky second graders, Ivy and Bean. It includes books 4, 5 and 6 in the series. My Weird School Daze #11: Mr. Tony Is Full of Baloney! It was a great book.It didn't have any parts I didn't understand what was happening in the book .!! !